The United Nations General Assembly designated the 1990s as the International Decade for Natural Disaster Reduction on December 22, 1989. As part of its proclamation, it also designated the second Wednesday of October as the International Day for Natural Disaster Reduction. The objective was to promote the awareness in order to decrease the loss of life, property destruction and social and economic disruption caused by natural disasters, such as earthquakes, tsunamis, floods, landslides, volcanic eruptions, droughts, locust infestations, and other disasters of natural origin. In 2009, the United Nations General Assembly decided to designate October 13 as the official date and changed the name to the International Day for Disaster Reduction. The 2013 Theme is Living with Disability and Disasters. 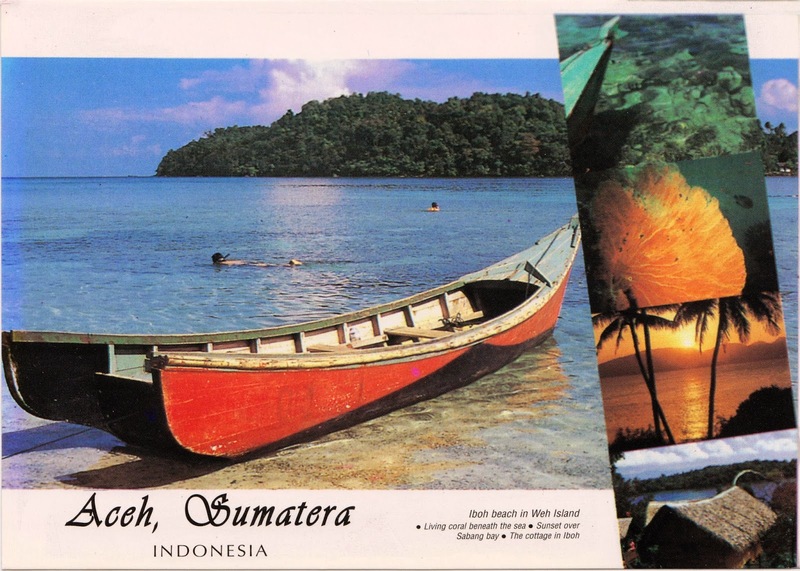 Postcard US-2217252 to Portugal shows a postcard I bought in Banda Aceh, Sumatra, Indonesia when I was there to volunteer for tsunami relief effort in February, 2005.